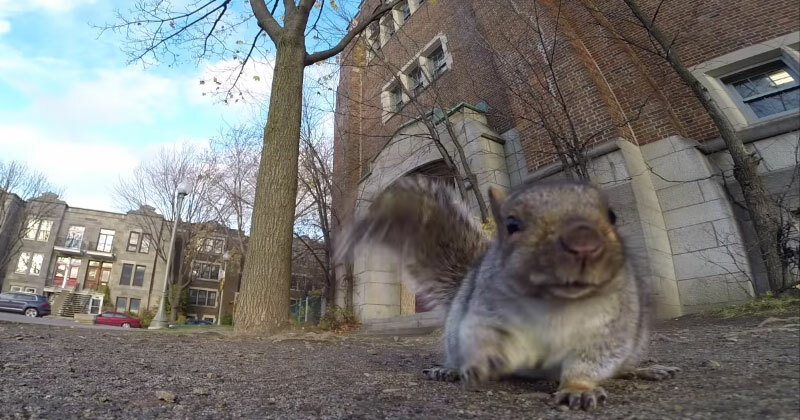 Some great close-up footage of a squirrel nabbing a GoPro and carrying it up a tree before ultimately dropping it. The video description said he was trying to get close-up footage by attaching a piece of bread to the GoPro, but he wasn’t expecting the little guy to take the camera up the tree with him! He dropped it to the ground after nibbling the bread off of it.